EDMONTON, Alberta -- Soccer fans eager for some knockout round drama can only hope Monday's World Cup encounter at Commonwealth Stadium between the United States and Colombia is less one-sided than the war of words that preceded it. Colombia is clear that it feels disrespected. About what is less clear because players and coaches for the United States can't stop complimenting the South American side that pulled off one of the biggest upsets in World Cup history when it beat France on June 13. 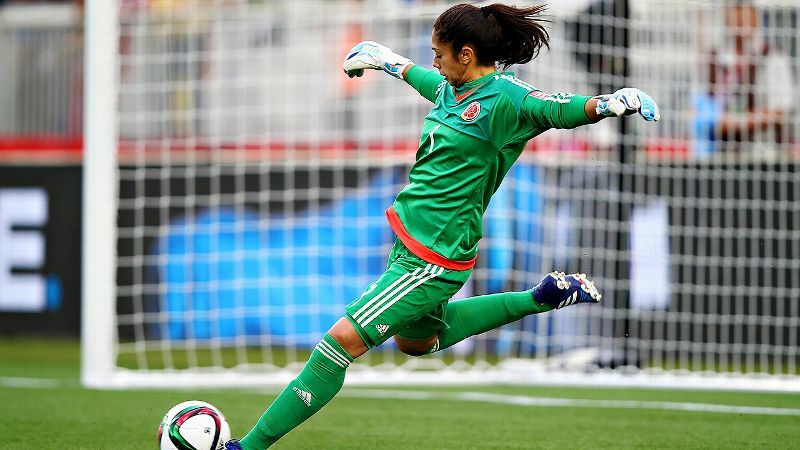 Rather than any attempt to smooth over combative words offered by one of her teammates earlier this week, including a prediction of victory against the United States, Colombian star Yoreli Rincon all but doubled down on the aggressive stance a day before the match. They're a good team ... they're kind of that sleeper team that are living above their expectations, and that's awesome. "They don't have the heart we Colombians have," Rincon said of the Americans through an interpreter during Sunday's news conference. Yet when pressed on exactly what comments upset her and her teammates, Rincon said through the interpreter that it "wasn't very relevant at this point" and offered little more than an oblique reference to ill feelings stemming from the incident in the 2012 Olympics when Colombia's Lady Andrade hit Abby Wambach in the face, contact that left Wambach with a black eye in a 3-0 win for the Americans. Andrade received a two-match suspension for the strike. Earlier this week, Andrade told USA Today Sports that the Americans "belittle" the Colombians and that they expected an easy win against the team ranked nearly 30 places below the United States in FIFA's world rankings. Andrade predicted a win in that interview and acknowledged hitting Wambach, offering only by way of an explanation that Wambach hit her too, but Colombia was too much a minnow for FIFA to investigate that side of the story. 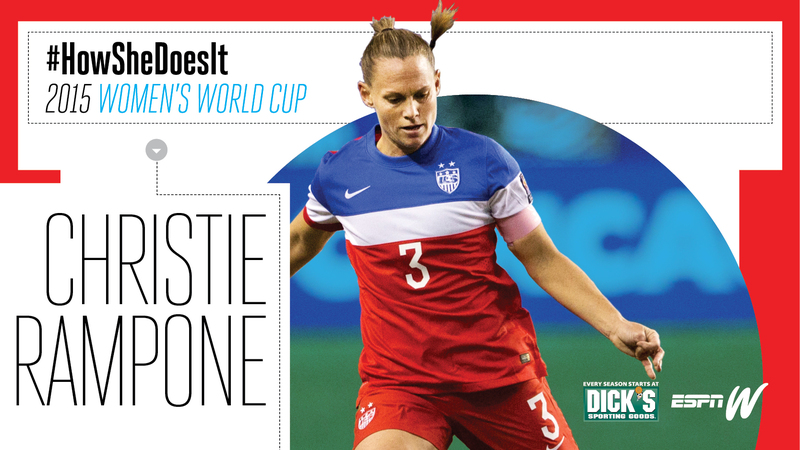 While the United States certainly hasn't avoided controversy in Canada, from Hope Solo's presence to Wambach's comments about the artificial turf, it seemed an unwitting and unwilling partner in this round of headlines. Coach Jill Ellis and forward Alex Morgan downplayed the idea of a war of words when they met with the media Saturday, and that was again the sentiment Sunday from key players who were part of both the Olympic win against Colombia and one a year earlier in the 2011 World Cup. "For us, in a way, I get it," Megan Rapinoe said. "I feel like they're an up and coming team and feel like they haven't gotten the respect that they think they deserve and that they're striving for. And if that's going to fire them up, that's great. I mean, for us, we don't need any extra motivation. This is the knockout round." Wambach also was unwilling to escalate matters into a verbal skirmish. "They're a good team," Wambach said. "They've gotten to the round of 16, which is not an easy thing to do, especially with the expectations that they've had. So they're kind of that sleeper team that are living above their expectations, and that's awesome -- not only for women's sports and women's football, but it's always fun to root for those kind of teams ... throughout the tournament." When asked about the injury she sustained in the incident with Andrade three years ago, Wambach said she hadn't thought much about it much since it happened. On that point, too, there was little agreement. "I believe they've not been able to forget this," Rincon said in apparent reference to that same incident. "For us, this is just another game."